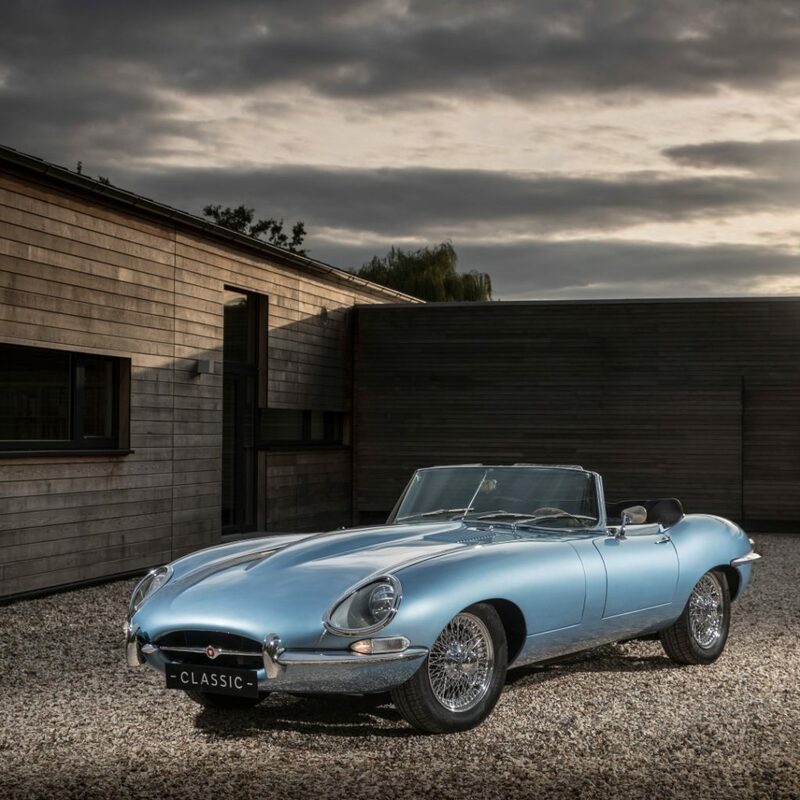 E-type Zero makes world debut during Jaguar Land Rover Tech Fest at Central Saint Martins, University of the Arts London. 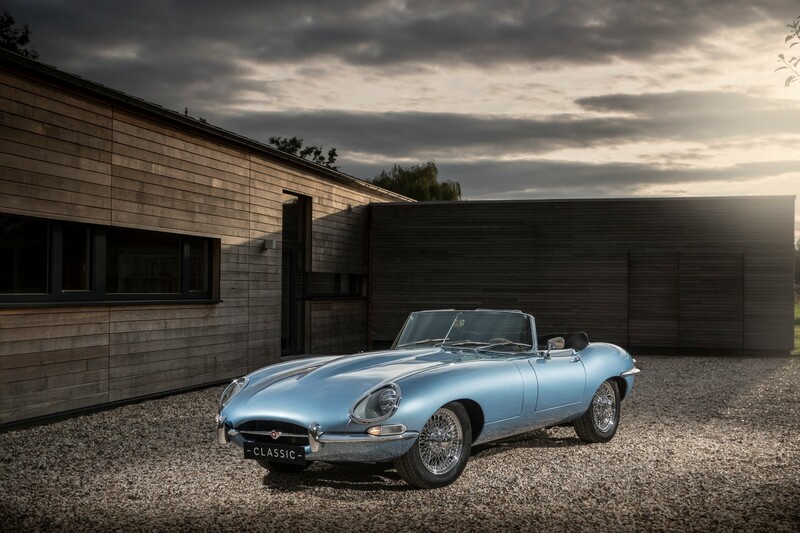 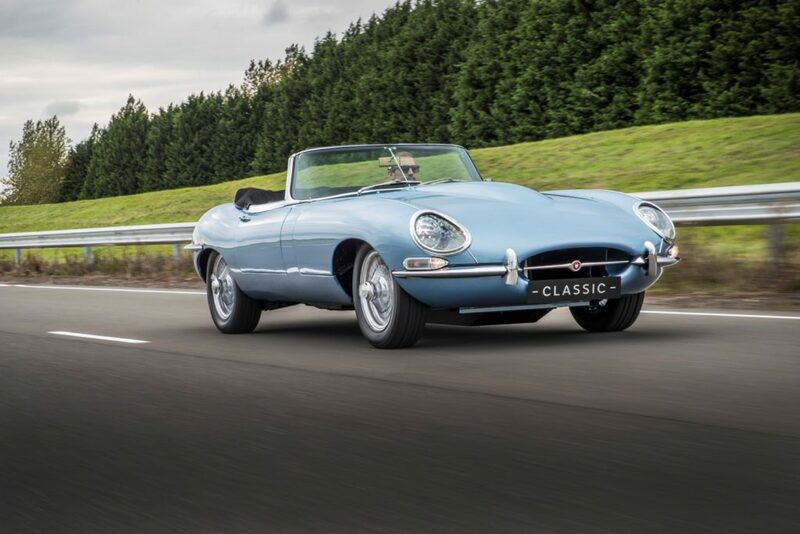 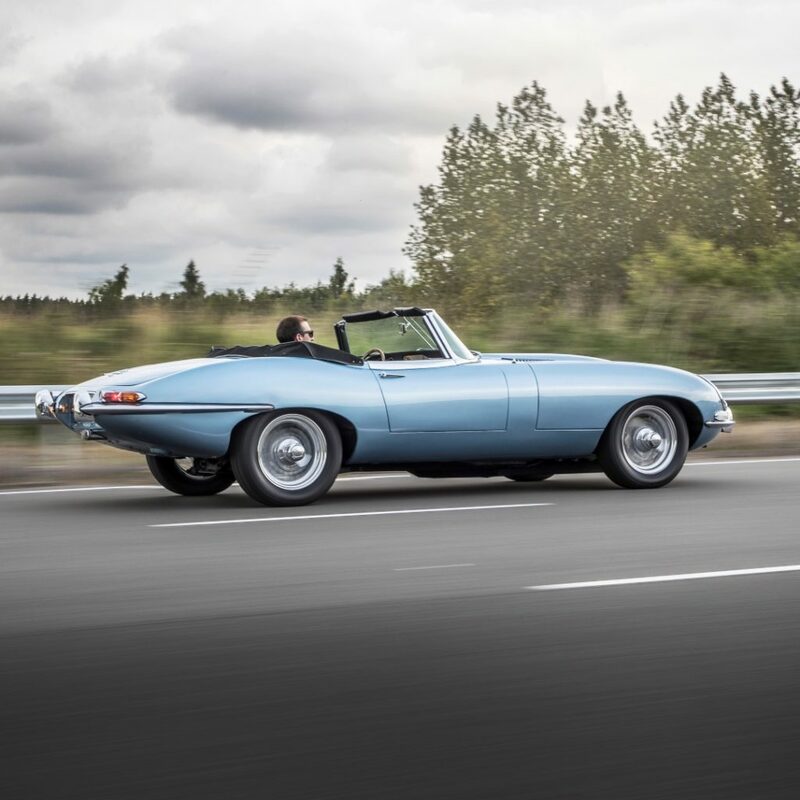 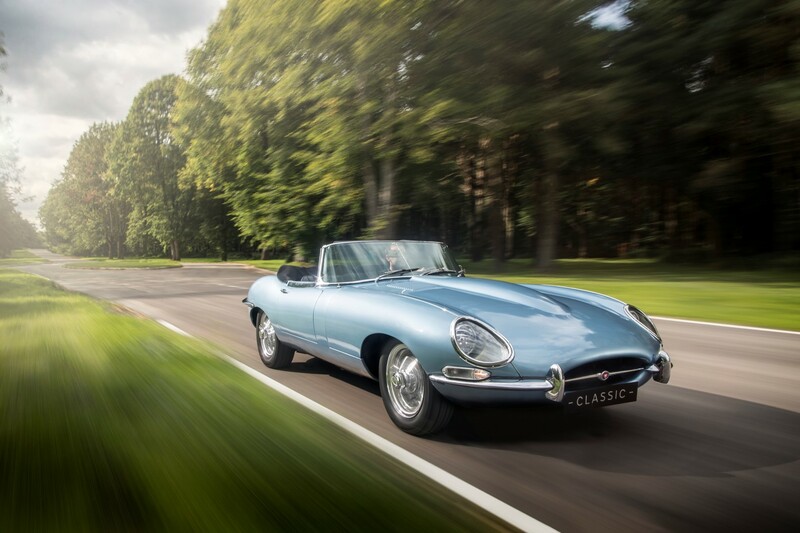 The Jaguar E-type Zero not only drives and looks like an E-type, it also offers outstanding performance. 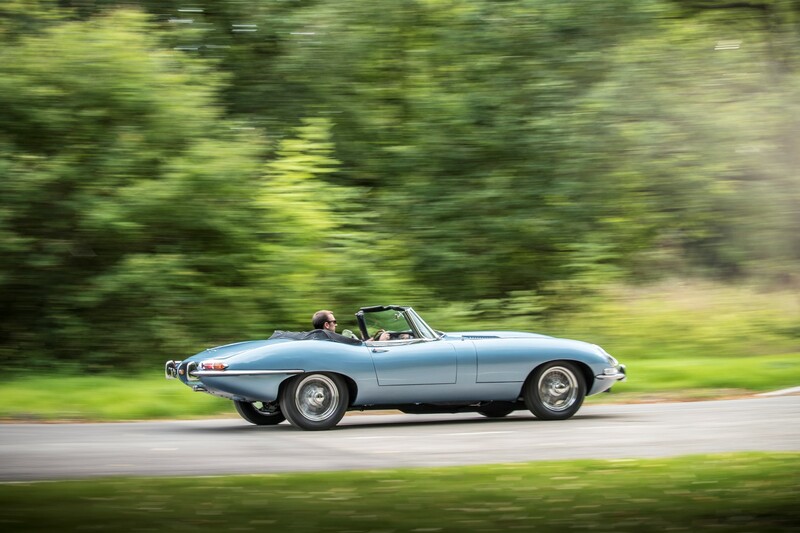 With the 0-100km/h sprint completed in only 5.5sec, it’s about one second quicker than an original, Series 1 E-type. 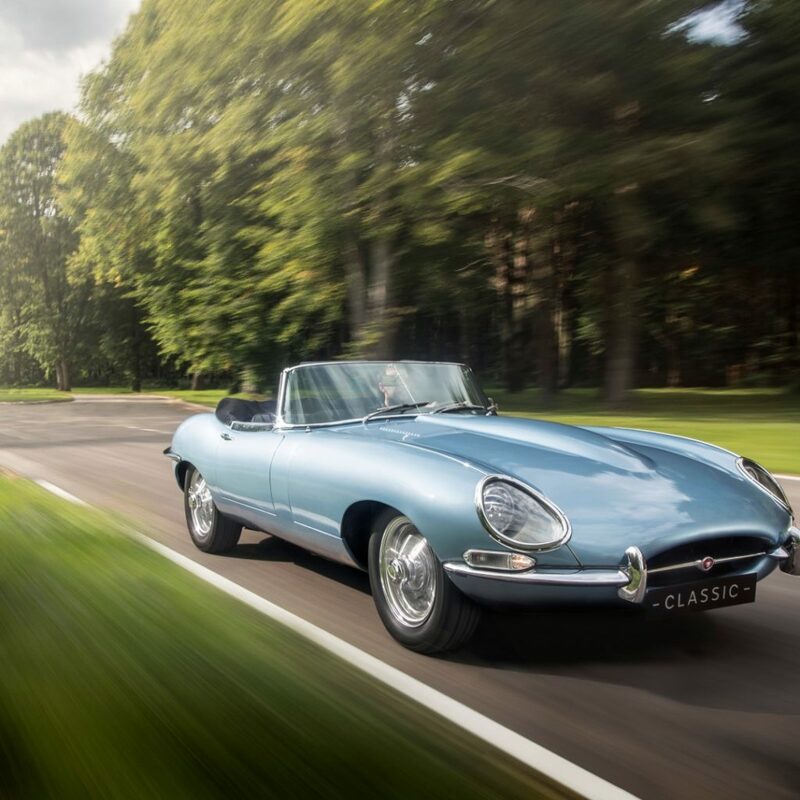 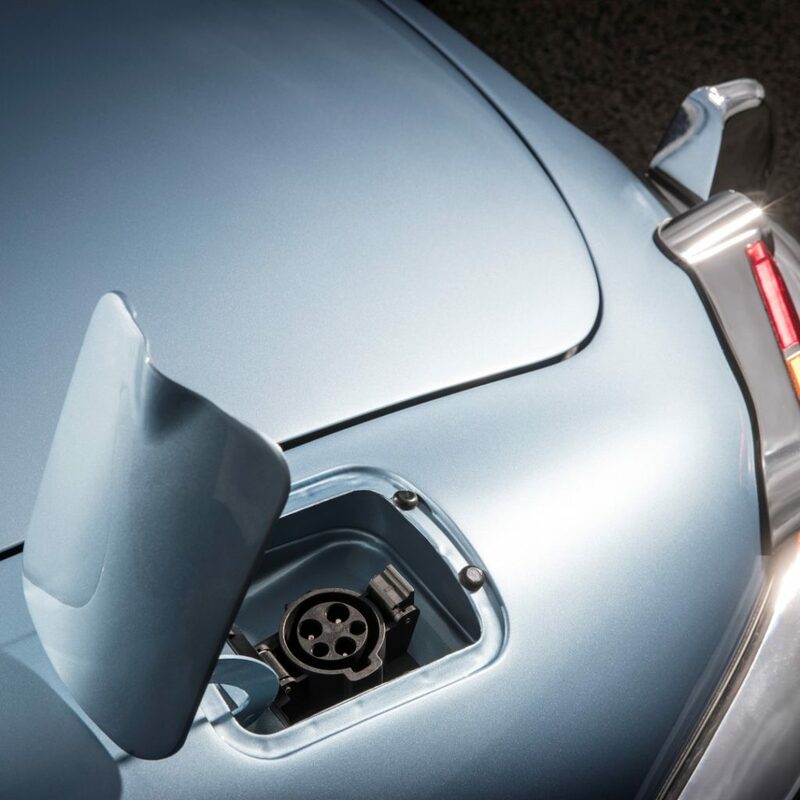 An electric powertrain developing 220kW has been specially designed for the E-type Zero. 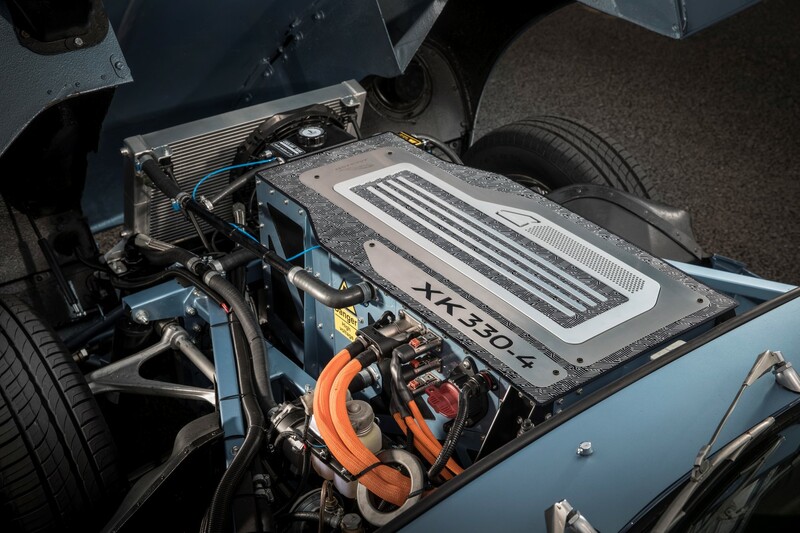 Its lithium-ion battery pack has the same dimensions, and similar weight, to the XK six-cylinder engine used in the original E-type. 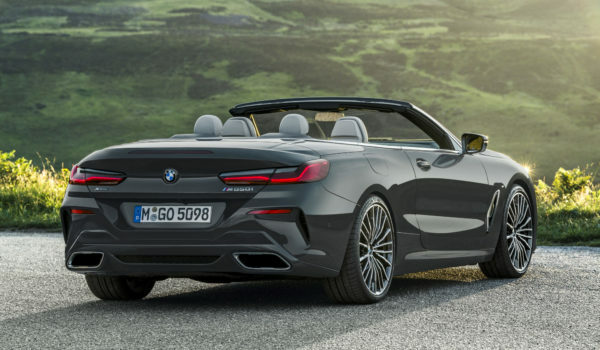 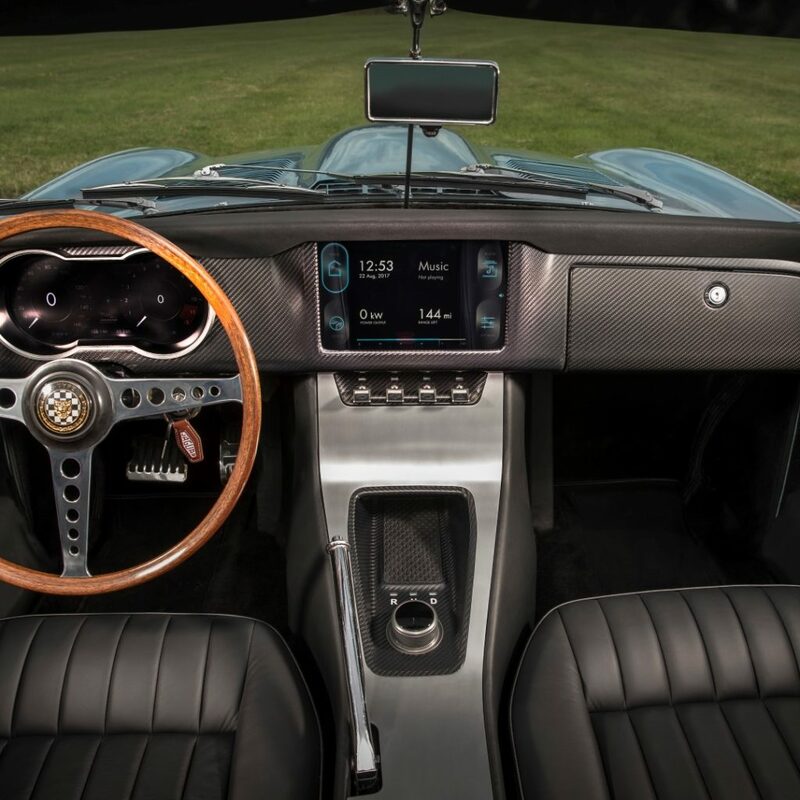 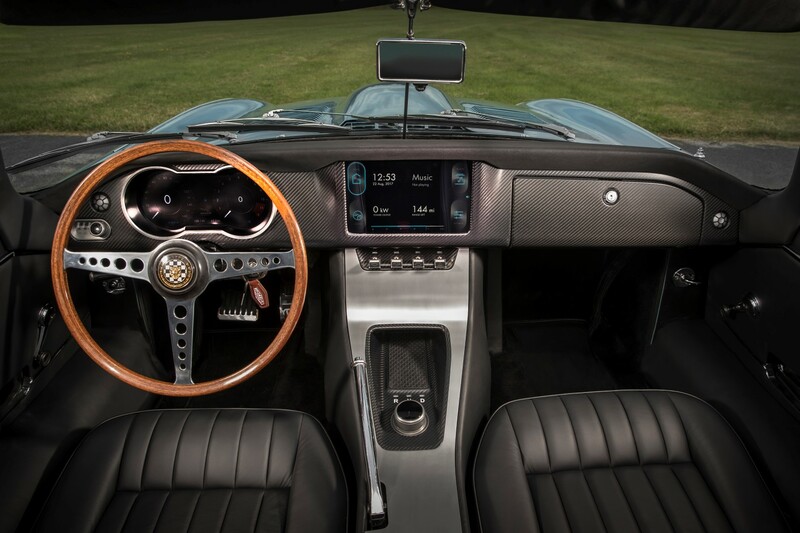 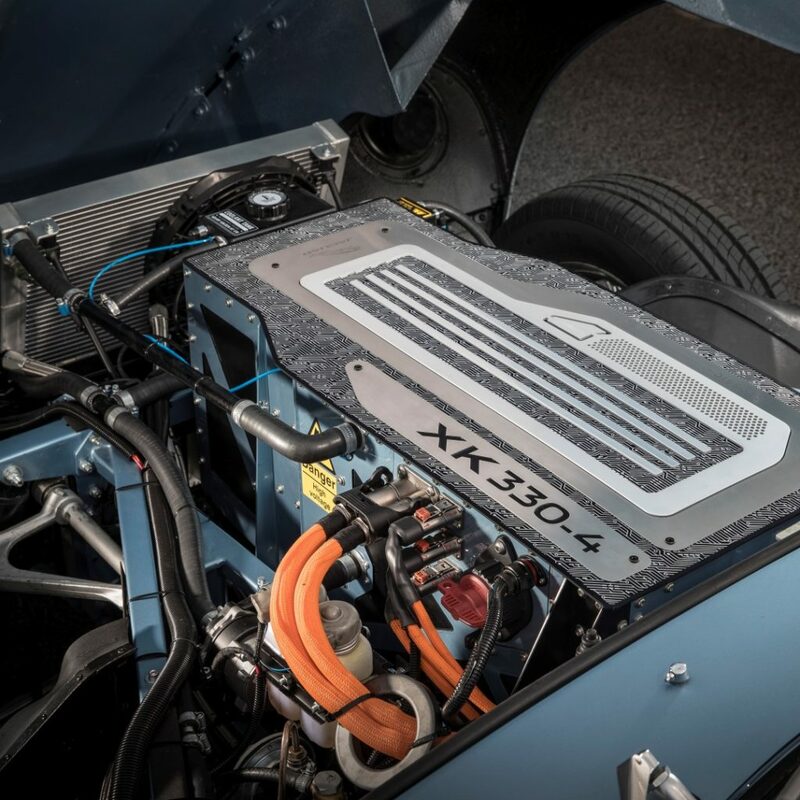 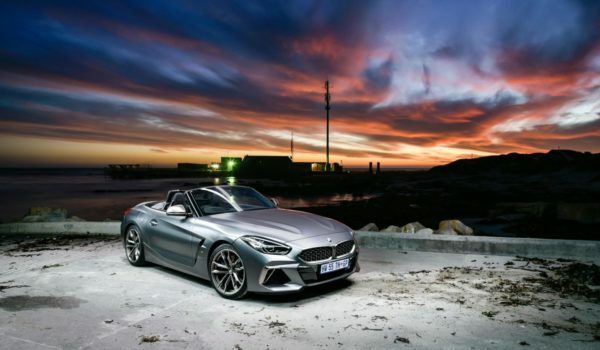 The experts responsible for developing the electric powertrain have ensured it will be placed in precisely the same location as the XK engine, without structural modifications. 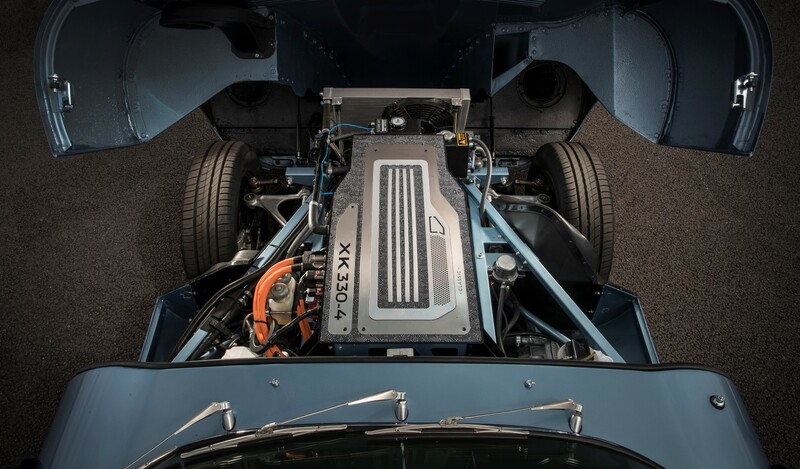 The electric motor (and reduction gear) lies just behind the battery pack, in the same location as the E-type’s gearbox. 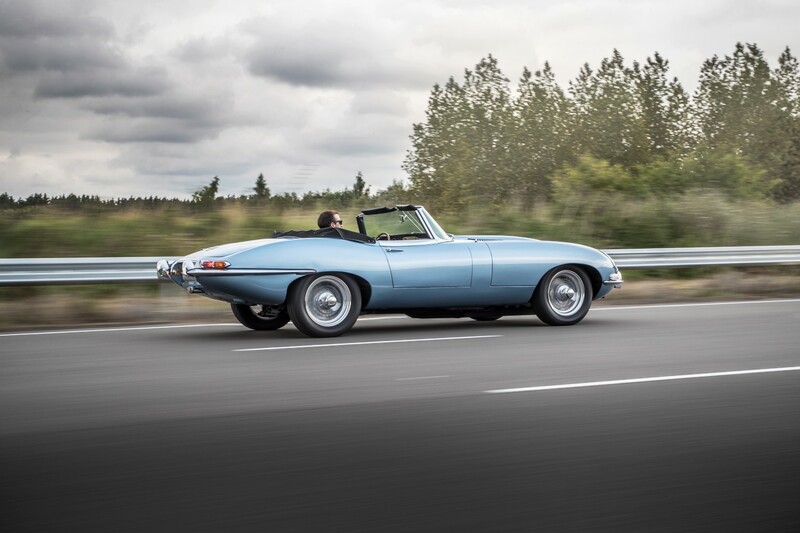 A new propshaft sends power to a carry-over differential and final drive. 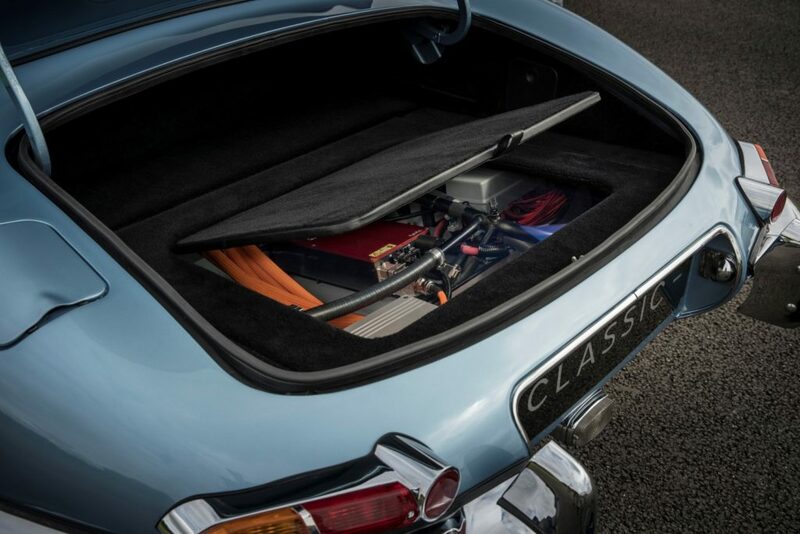 Total weight is 46kg lower than the original E-type. 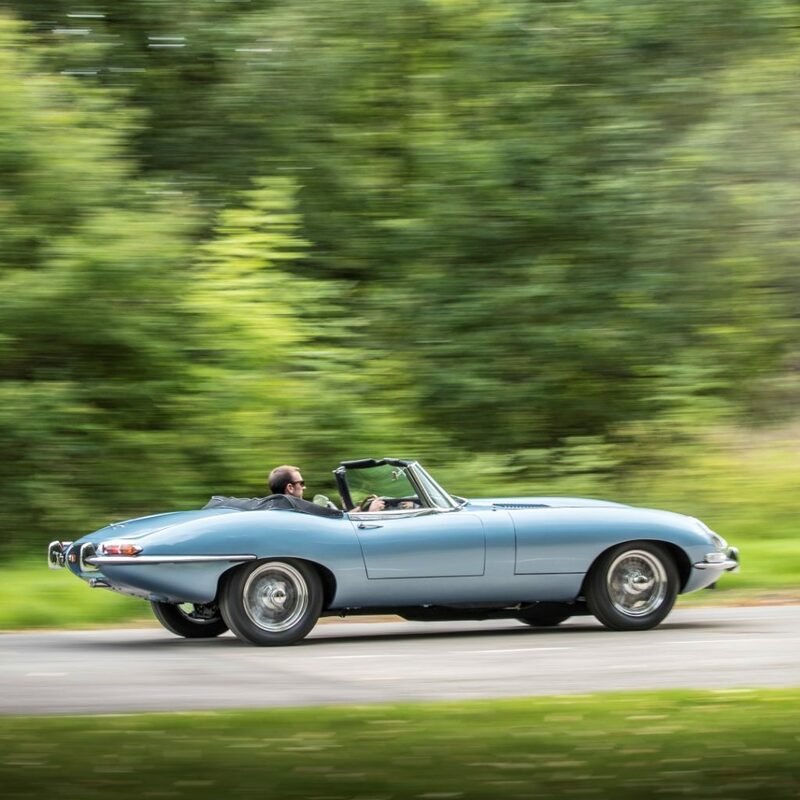 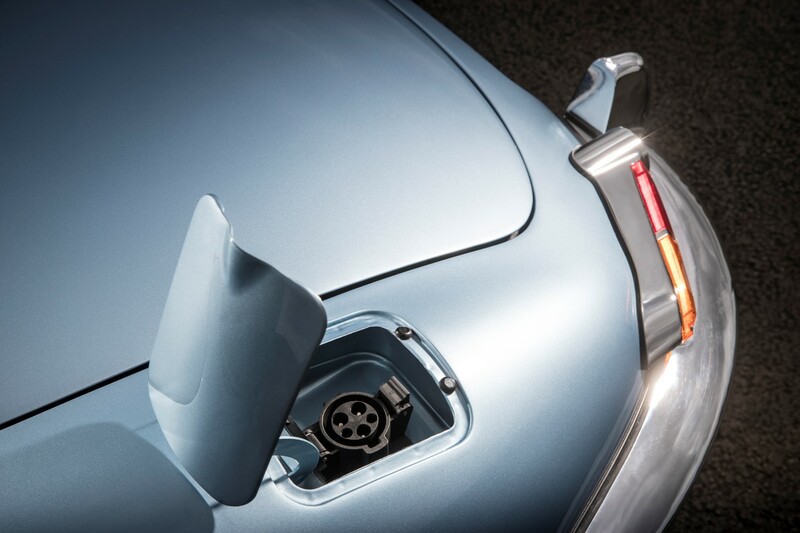 The E-type Zero has a ‘real world’ range of 270km, helped by the low weight and good aerodynamics. 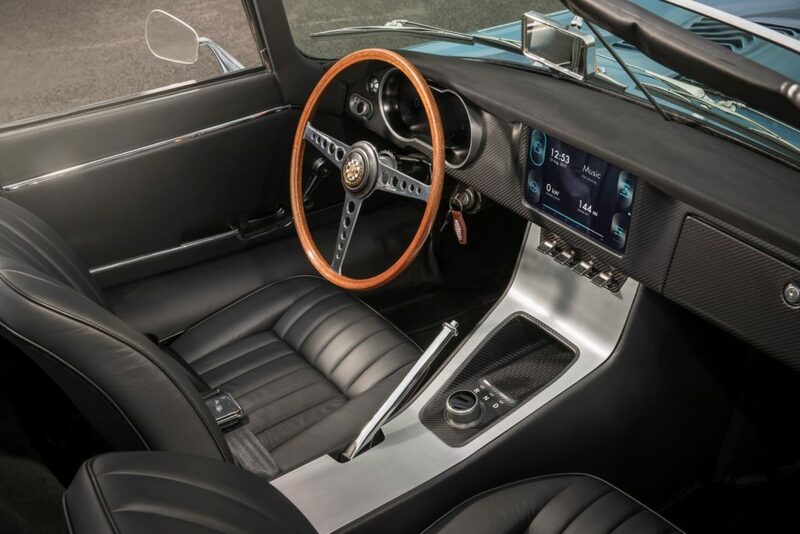 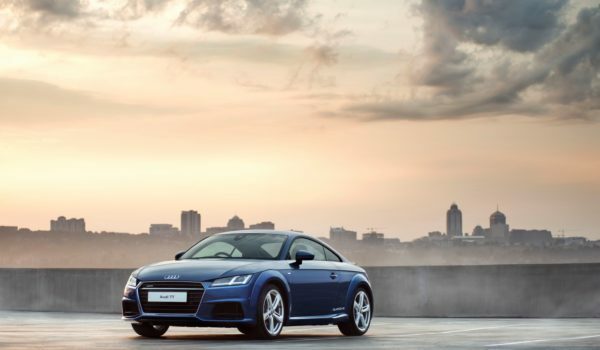 It uses a 40kWh battery, which can be recharged from home overnight (typically in six to seven hours, depending on power source).